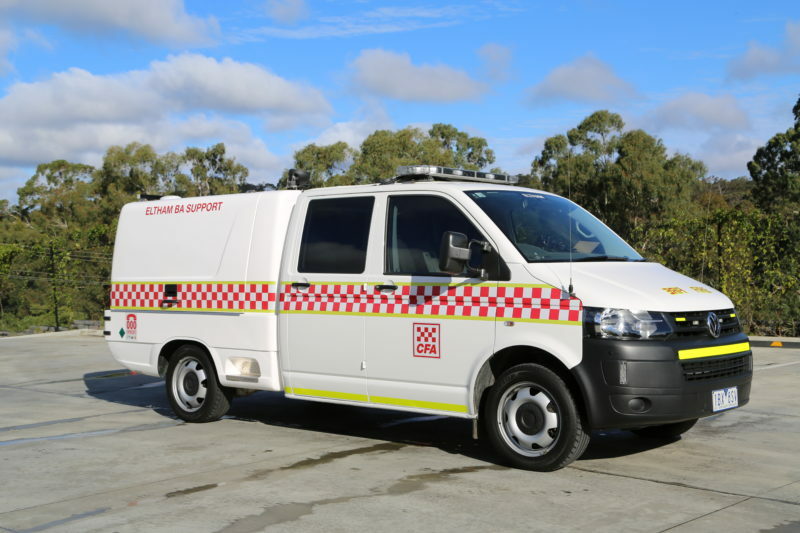 Eltham BA Support is a specialist operational support vehicle which provides assistance to firefighters where Breathing Apparatus is deployed such as hazmat incidents and major structure fires. It is available to support not only Eltham, but also the wider district. The vehicle commenced operation in late 2014 and seats 4 on a Volkswagen Transporter Chassis with a custom built rear locker setup. The vehicle carries 12 compressed air cylinders, rehab chairs, BA cleaning equipment, staging area setup and refrigeration.